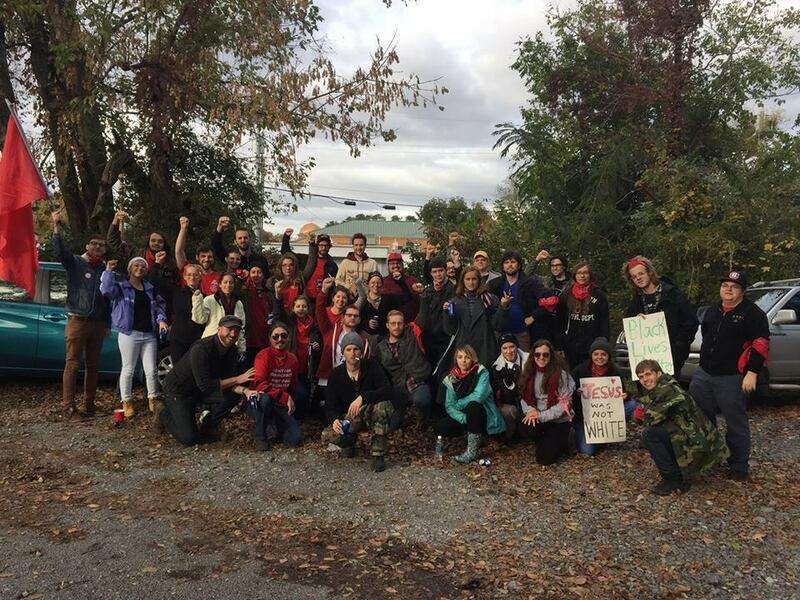 Brad Lathem (bottom row, second from left) and MADSA member Chad Floyd (bottom row, left) among comrades from Birmingham DSA, Northern Alabama DSA, Middle TN DSA, Charlottesville DSA and other chapters. The so-called “white lives matter” rally in Tennessee is over, the nazis have been run out of town. Murfreesboro (second half) was actually pretty anticlimactic — the fascists saw that they were massively outnumbered & fled.